Learn to read with the Smithsonian! 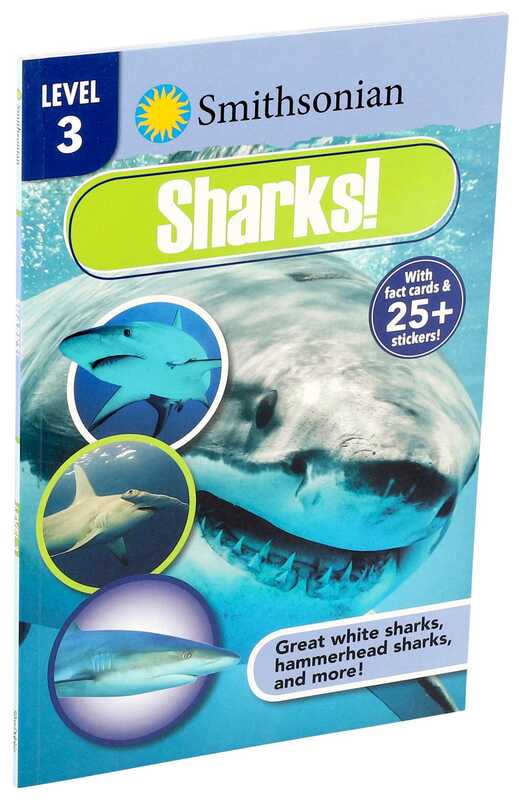 Developed in partnership with the Smithsonian and esteemed literary childhood literacy expert Dr. Adria Klein, Smithsonian Reader Level 3: Sharks! continues children’s journeys to become lifelong readers with engaging content and more challenging text. From great whites to leopard sharks, children will learn about sharks while building reading skills with the carefully designed leveling structure. After reading the 32-page high-quality introduction to nonfiction, children can take a quiz that reinforces reading comprehension. Also includes 28 stickers. Book Cover Image (jpg): Smithsonian Reader Level 3: Sharks!